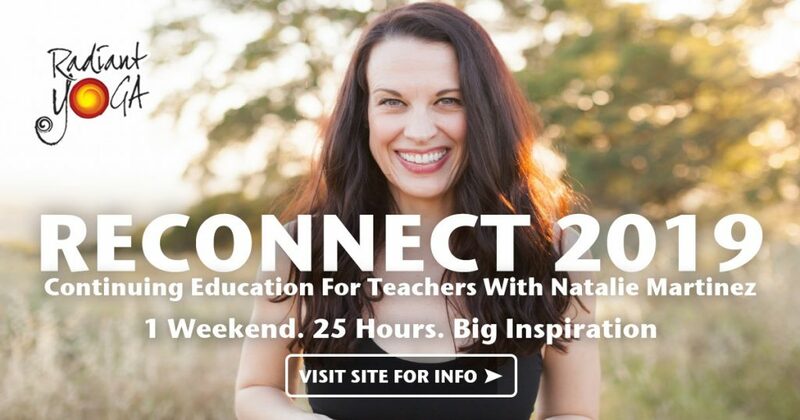 Join Diana for this truly transformative and powerful weekly workshop. Are you ready to make some big, bold changes? Can you commit to trying on some new ways of moving through your days? Do you believe that you CAN transform your life? This is a powerful program that has as much to offer as you have to give. We use specific mental and physical tools to spark a shift in the mind, body and spirit. Set yourself free to live a healthy and meaningful life through yoga, meditation, reflection and clean eating. Let the encouragement and support of a group motivate you to free yourself from old fears and behaviors holding you back. Start right where you are now, commit to rising above that space, and uncover a life you love! Sometimes one song is all it takes! These songs at one time were embraced as part of the cultural landscape. They embodied the emotions we all experience, and sometimes they simply just make us want to dance. 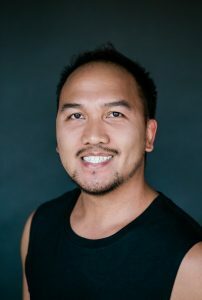 Join Andrew for this fun and energetic flow that will take you back to your favorite one hit wonders of multiple decades. Sound is not just perceived by our ears but by every cell in the body. 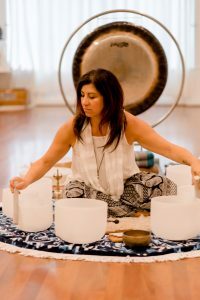 The powerful vibrations of the gong and the sweet sound of each note of the crystal bowls will meditate you, clear meridians, open chanels and chakras releasing the flow of Kundalini energy to ascend up the central channel from the root chakra, balancing and aligning your system. As you allow blocked emotions to loosen in this process and gently release that which no longer serves you into the sound, you activate your inherent ability to heal and awaken. Let the sound do the work as you release stress, deeply relax and come into balance. Please register in advance and come hydrated and comfortably dressed. We recommend bringing a yoga mat, small pillow for your head and light blanket to support your experience. Sunday, May 19th 4:30 – 5:45 pm. 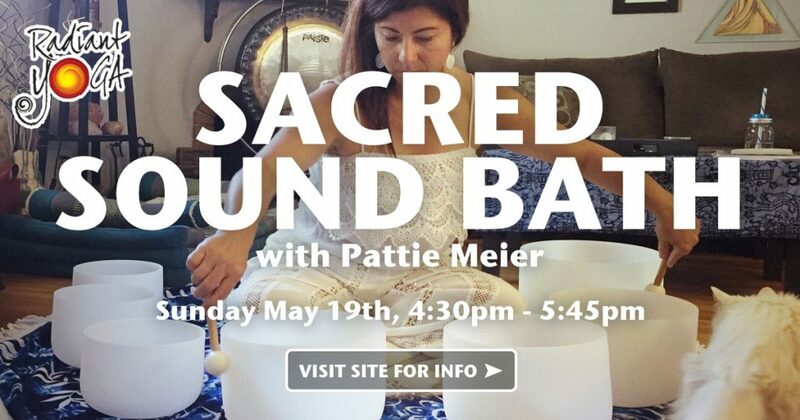 Intuitive, authentic, spirited and joyful, Pattie has been working as a healing artist since 1997. 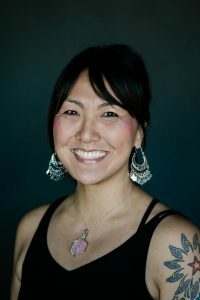 With her roots in massage therapy and bodywork, Pattie works with several modalities including Cranio Sacral Therapy, Bowen Therapy, Reiki, chakra balancing and sound healing. She also has 500 hours of yoga teacher training completion. Please join us on Sunday, May 12th for Mother’s Day at Radiant. 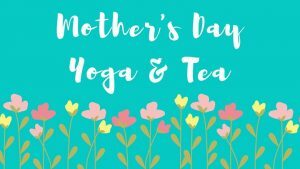 We will offer complimentary tea (from Tea Xotics) & special treats after each class. Please bring your mom and/or your children and enjoy a very special morning in honor of all mothers and mother figures! 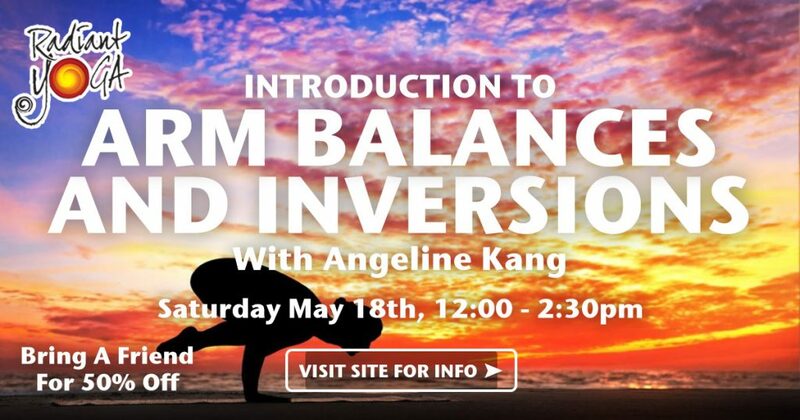 Join Angeline in this totally safe and supportive space as you practice moving through your fear. Just as everyone has experiences of fear, everyone has the ability to lean into courage and feel the sense of empowerment that comes from moving through the fear. Yoga asanas that place the heart above the head are one of the most tangible ways to literally shift our perspective and soar past our perceived limitations. The physical shift that occurs is a reflection of the opportunity for emotional transformation that takes place as we allow the energy of creativity to pour into our hearts and our heads. Whether you’ve been practicing for a day, or for years, this workshop holds an opportunity for you. Come try something new, something just a little bit scary and know that all along, you will be safely guided. You’ll learn to use the powerful tools inside of you as you turn everything up-side-down – something that ultimately has the power to transform your whole way of thinking and being with yourself. This is a beginner’s workshop but all levels are welcome. 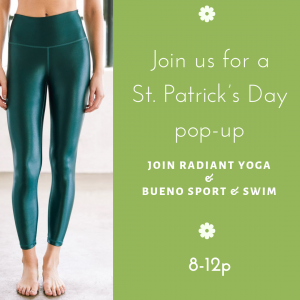 Join us Sunday, May 18th as we host Bueno Sport & Swim Pop-Up Boutique at Radiant Yoga. Enjoy an amazing selection of athletic and yoga wear for summer! 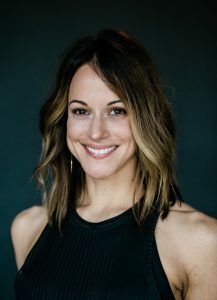 Reconnect is a yoga teacher program designed by Natalie Martinez to reconnect and re-inspire the teacher within. Come be a curious student again. Come fall in love with your own ritual of practice. Come trust in your gifts as a teacher. Deeply Rooted Holy Yoga is for everyone. 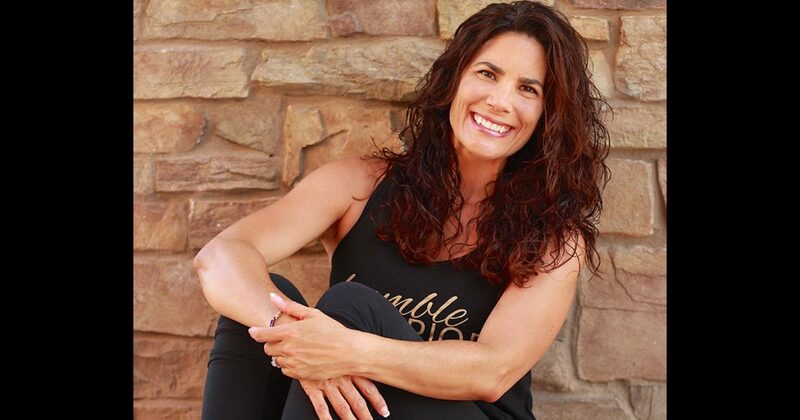 Come meditate, breathe, worship and move through an abundantly grace-filled class. 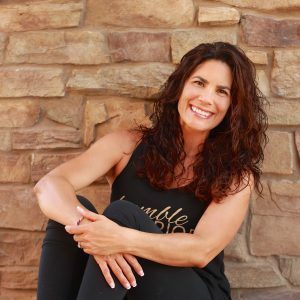 Holy Yoga creates an environment to connect more intimately with God through a beautiful practice of breath and movement to contemporary and Christian music. There is often a misunderstanding that yoga is a religion, it is not. Yoga is a spiritual discipline, much like prayer, fasting and meditation. Yoga has the capacity to enhance our personal beliefs and faith. Love without trust is impossible. If you break promises to yourself you will destroy your own trust. You must trust yourself before you can fully love anyone else. Kundalini Yoga has taught me to trust my instincts, intuition and encouraged me to accept and know myself in a way that was previously unknown to me. 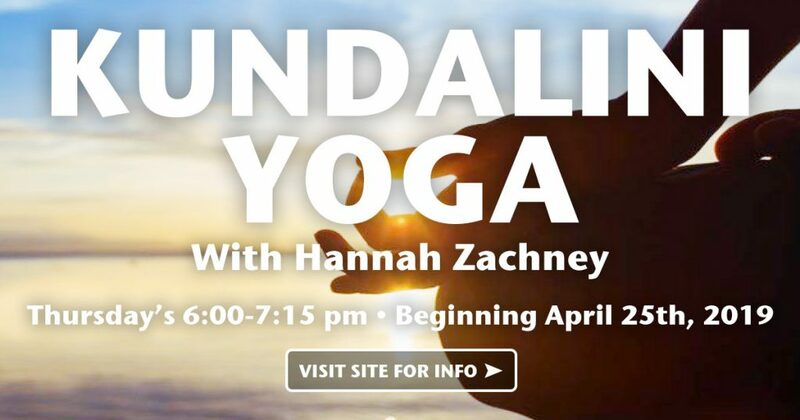 Kundalini yoga offers endless tools to enhance this process. It will strengthen the heart chakra. It will build courage and resilience. It will wake you up. It has been said that a student cannot remain the same when they practice Kundalini Yoga. It will awaken the energy of consciousness, shed light on our self-imposed limitations and invites us to trust our intuitive mind. Kundalini will create dramatic, lasting changes in your life very quickly.